The Artists from Uckfield Art Group are busy painting away and preparing for their Summer Exhibition on Saturday 4th June 2016. Doors open 10am – 4pm at the Luxford Centre, Library Way, Uckfield, East Sussex. TN22 1AR. There will be original new paintings, drawings greeting cards and other hand crafted items on display. A craft area for children (old and young) will be there to entertain them whilst the adults enjoy the usual delicious home-made refreshments which will be served throughout the event. Free entry and plenty of free parking as the venue is surrounded by the main town car park. The vicar and members of the church would like the building to be used more frequently for more community-led activities when services are not taking place, and I am writing to ask if you might be interested in principle in running activities here in future? We are preparing applications to grant giving bodies for help towards installing new kitchen facilities that will help us in that objective, and it would help us if we can demonstrate that groups like yours might be interested in operating from here when the kitchen has been installed. The church is a very beautiful medieval building. I hope to hear from you soon, but please get in touch if you would like more information. 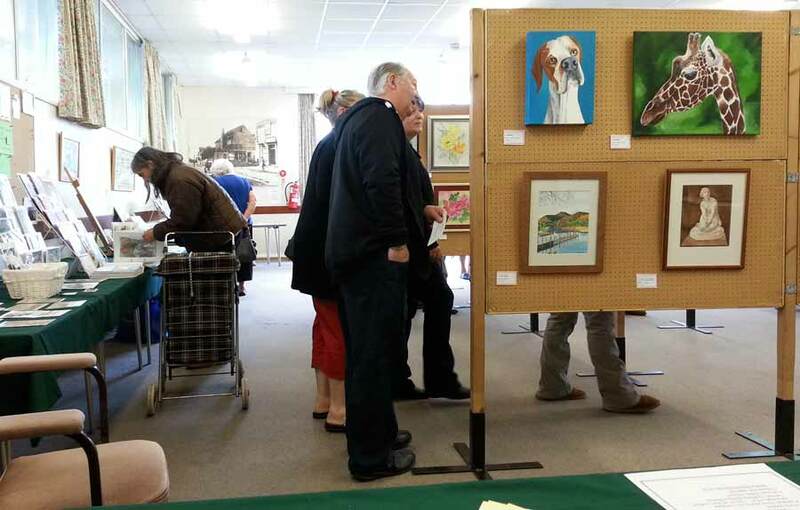 Can you please tell me more about the uckfield art group. I’m a young lady in my twenties and I’m looking to gain more skills in the arts.